I will do this one quick and to the point, sort of. Maybe not so quick. 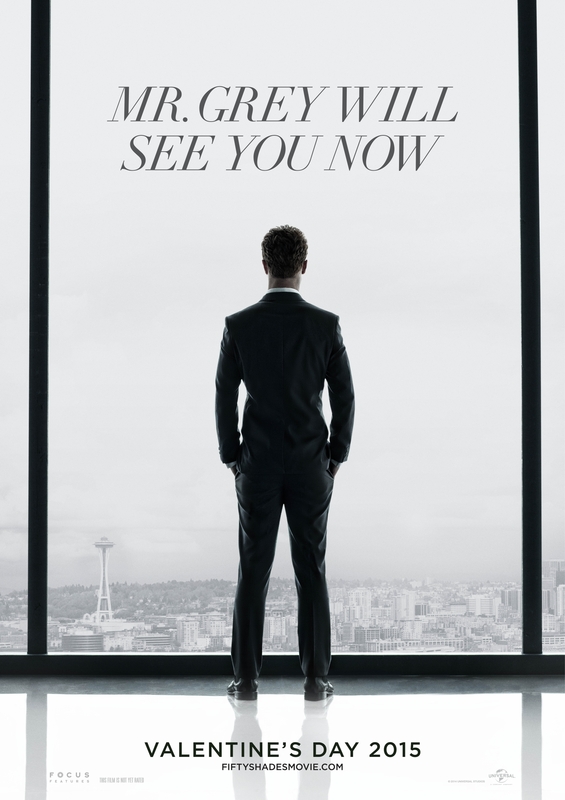 Alright, as many of you may know, I don’t normally do movies here but I haven’t done 50 shades the book either and since I saw the movie, I felt like I should let it out of my system. Then I decided to make a little combo just for the sake of it and because Jamie is an awesome actor. Many of you know that it was originally thought as a Twilight fan fiction, no matter what anyone might try to say to deny that, and let us face it, dearies, the resemblance is there, if you want a short list of how they are alike, then I can give it to you now. They both want to be called by their nickname. Alright that can be in any kind of book, but the rest I am about to say might be considered spoiler. They both think they are not pretty, even when the man of their lives says otherwise; they both do crazy stuff to protect their hot boyfriend like cutting the palm of their hand so a vindictive vampiress go after them or go meet a crazy ex-employee (among other ex-something). Both have issues. (One more than the other). They are rich, they are adopted, and they want to buy expensive stuff to their girls. They have troubled pasts. Their personalities are a bit alike and not, considering that Christian does some psychological problems. Younger sister of C.G aka Alice from Twilight, they both love the brunette girl straightaway, they both are annoyingly sparkly. Rosalie and Kate, both gorgeous and Bella/Ana wishes to be a little more like them in their heads most of the time. Elliot and Emmett, come on. Even the names are similar and the personalities completely the same. The same for the parents. Oh! The most important thing of all, the break-up in book two, come on! Bella and Ana living on nothing, basically. And depressed to no end. That was one of the things that made me say: seriously? I see of all those little things clearly, perhaps, because I read both series, and the twilight series more than once back when I didn’t know how awesome other books were (not that I dislike them), and how real vampires should be *cough* The Vampire Diaries *cough*, and how great series could become your favourite books. (Yes, Dracula is actually the real vampire or the ones in The Vampire Chronicles). Side-note: please read The Vampire Diaries if you have only seen the loosely based TV show, you will thank me later. Carrying on, I did like 50 shades the book, it is not my favourite book in history but it had its moment even if Christian has severe psychological issues and please don’t try to deny it, it’s all right there in the book, he even goes to a therapist on a regular basis, yeah until he meets the one and all that jazz, actually he still goes when he is with Ana… I just remembered that. I’ll leave it here, these are not books I would read again as I have said before, I think. Let’s talk about something better, how Jamie Dornan totally rocked, and yes I did love him in OUAT as Sheriff in the first season, I don’t care. Now let’s be serious, the movie wasn’t bad but it could have been much better but I suppose that in order for it to be they would had had to made it +25 or something. Honestly, my expectations of the film were not high and they remained there, they did not decrease nor got any higher, you could rather say there were at a medium level. I knew from the trailers it would be good, I had a feeling and once in the theatre it didn’t go beyond what I had in mind. It might be a bit harsh of me to say it like that but it is my most sincere opinion, I actually spent most of the scenes either saying “That it is not how it goes” or “Hey, they missed something there.” For example, when they went gliding, come on! The director or screenwriter or all of them, they had one job, made Christian say these words “We’re going to chase the dawn, Anastasia.” And then go gliding, was that too complicated? Was it too difficult to make that freaking scene exactly as it was in the book? I most definitely doubt it. And with that, I have nothing else to say… in fact that’s a lie but I won’t indulge you in my thoughts more than it is necessary, we could be here all day or night depending on where and when you are reading this. I have to say, all in all, I came out the movie theater thinking… hmm, I will come to see the next one because of Jamie and nothing else. Thank you for reading this, if you have a similar opinion you are welcome to leave here or if you want others to know they are not alone in the world, you can share or hit like. Don’t forget to visit my social nets and be on the loop for new posts.